Red, white and boom! Nothing pairs with hot dogs, bomb pops and awkward farmer’s tans better than Fourth of July fireworks. The tradition, which began in 1777, celebrates America's independence with a quite literal interpretation of "rockets' red glare." From the mountains, to the prairies, to the oceans, check out which cities boast the most impressive displays of pyrotechnics you'll ever see. 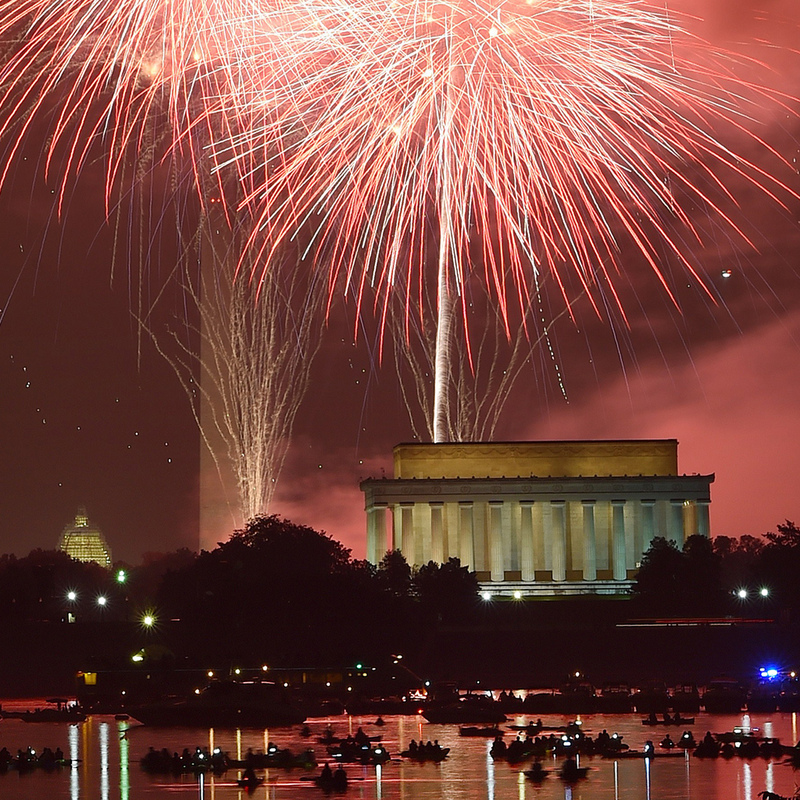 You can thank Macy’s for hosting the biggest firework display in the country. With over 50,000 effects and a live audience of three million people, the celebration really puts the big in Big Apple. Click here for event info, or just tune in to NBC. It’s no surprise that our nation’s capital presents one of the most impressive shows on the East Coast. Held on the National Mall and adjacent to the Washington Monument, these fireworks are practically patriotism in pyrotechnic form. Click here for event info. As the birthplace of America (and firework shows! ), Independence Day is essentially one giant birthday party at Philly’s Wawa Welcome America. This year’s July Jam concert, which caps the day’s festivities, will be headlined by Hamilton’s Leslie Odom Jr. And you won't have to shell out nearly $1,000 to see him! Click here for event info. There’s a reason why this tiny Dallas suburb (population 19,000) swells to nearly half a million people as July 3 approaches. 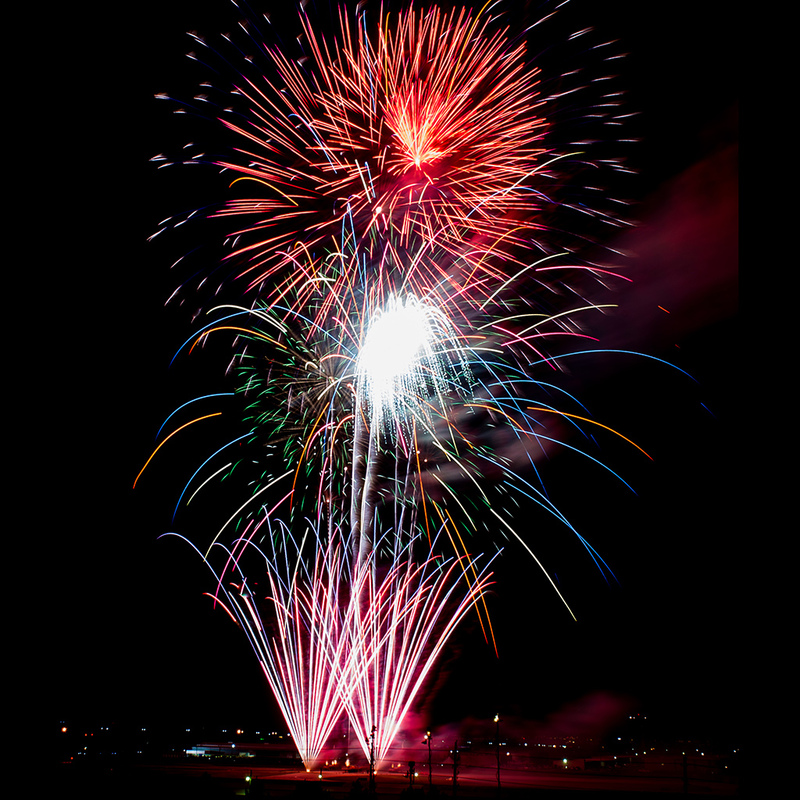 Appropriately called Kaboom Town!, the city ignites 1,500 pounds of shells for a 30-minute show, further proving that everything really is bigger in Texas. Click here for event info. If you’re a fan of classical music, the Boston Pops Orchestra provides the perfect backdrop to the booms and bangs of Beantown’s 25,000 pounds of shellings. It’s a wicked (and expensive AF) good time. Click here for event info. 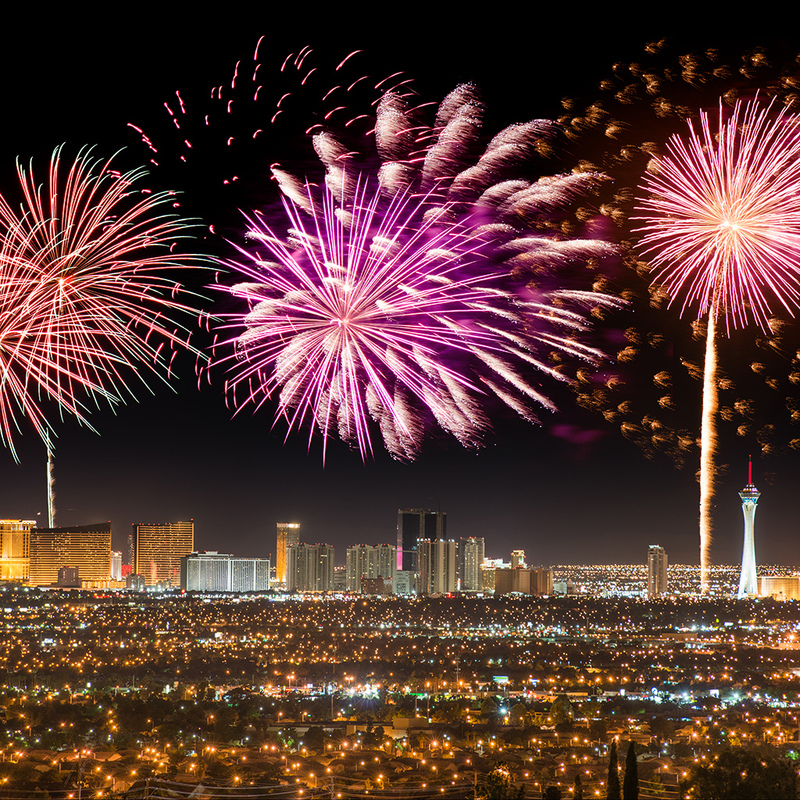 You may think a firework show is just another day in Las Vegas, and you’re right. But that doesn’t make their Fourth of July festivities any less spectacular. Choose one of The Strip's many hotels and leave any worries or disappointment at the craps table. Click here for event info. 2012 firework fiasco aside, San Diego houses the most popular and intricately-designed show on the West Coast. Considering the technology and creativity that goes into Comic Con, we're not entirely surprised. #GeeksUnite. Click here for event info. The Windy City’s Navy Pier may be known for its ferris wheel, but it also serves as one of the best firework launchers throughout summer. In addition to regularly-scheduled Wednesday and Saturday night shows, the Fourth of July features an over-the-top spectacle that almost makes up for the Cubs' embarrasing World Series record. Click here for event info. 9 of 12 © Nashville Convention & Visitors Corp.
It’s a country-filled day for Music City, attracting nearly 200,000 spectators for free performances and a fireworks display that rivals NYC. Click here for event info. Becoming one with nature is certainly encouraged at this scenic holiday gathering. The refllective lake water with the Sierra Nevada mountains makes for a breathtaking 25 minutes. Just be sure to pack your bug spray! Click here for event info. If the beach (or casino) is calling your name, you’ll want to grab a spot on one of the country’s most famous boardwalks. Their July 3 show, which erupts from two barges, attracts 250,000 visitors. If you happen to miss this event, you’ve got another one in the Marina District that's held on the actual holiday. It’s a two night-for-one deal, just like their hotel rooms. Click here for event info. Can you handle three nights of good ol' American fun? Fair St. Louis’s 250,000 visitors can. In fact, many turn out in droves to catch musical acts and death-defying stunts as an entertaining backdrop to their nightly fireworks shows. It's like the Cirque du Soilei of Fourth of July celebrations. Click here for event info.